2 Bedroom Detached Bungalow For Sale in Ryde for Asking Price £600,000. This very large plot runs directly down to the water's edge at Wootton Creek while presently housing a 2 bedroom, detached bungalow. To the front of the plot is a large garage plus parking area for multiple vehicles or boats. A much larger house previously stood on the site but was replaced by this smaller bungalow in the 1980's. 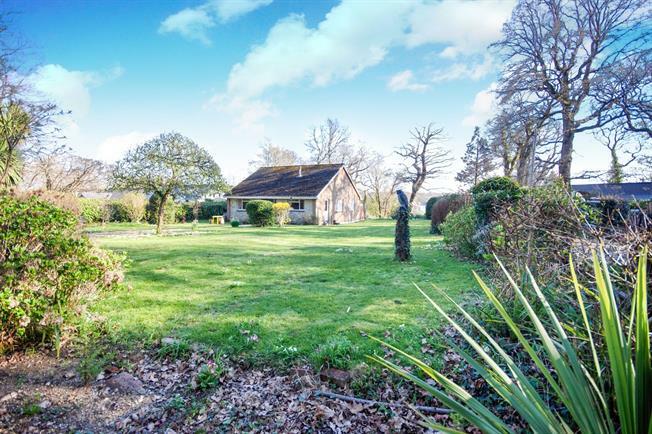 There is potential here to renovate & extend this bungalow (subject to permissions) or indeed to replace it with a much larger property, possibly even adding a further property alongside as planning permission had been granted some years ago for this. The location offers beautiful views across Wootton Creek & where the garden meets the water there is a pontoon in place. The present bungalow has 2 double bedrooms, a very large lounge/dining room with views over the creek, kitchen, bathroom & separate shower room.